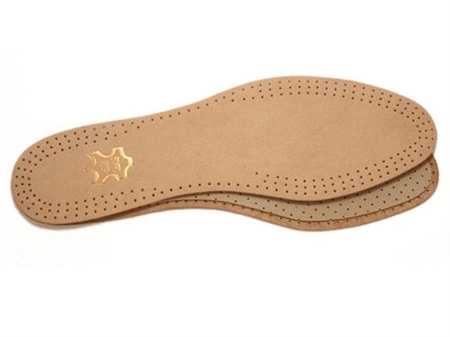 Ladies Leather Insoles help support the arch and prevent splay foot complaints. These comfortable insoles feature self-adhesive pads for fixing to the inside of your shoe. Made of soft kid leather with integrated t-shaped pad of pure latex foam, they are perfect for high heels and are even shaped to be suitable for peep-toe shoes.